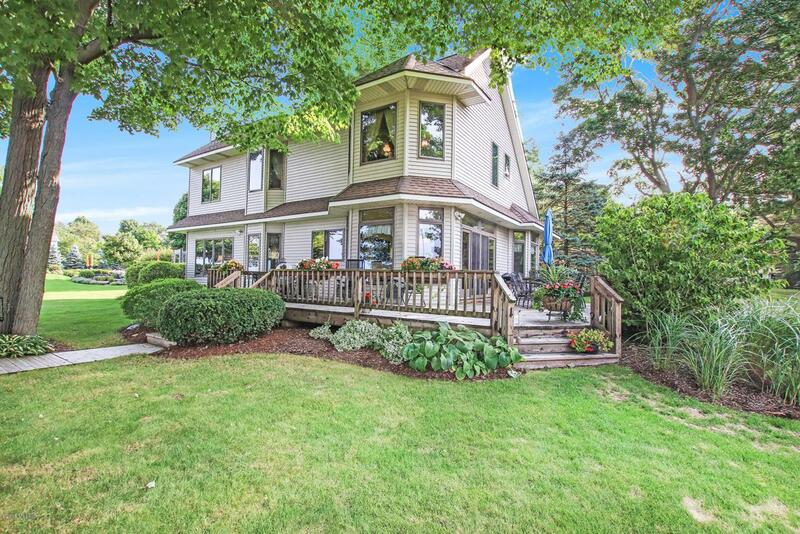 Custom built home with construction and design focusing on Lake Michigan setting. 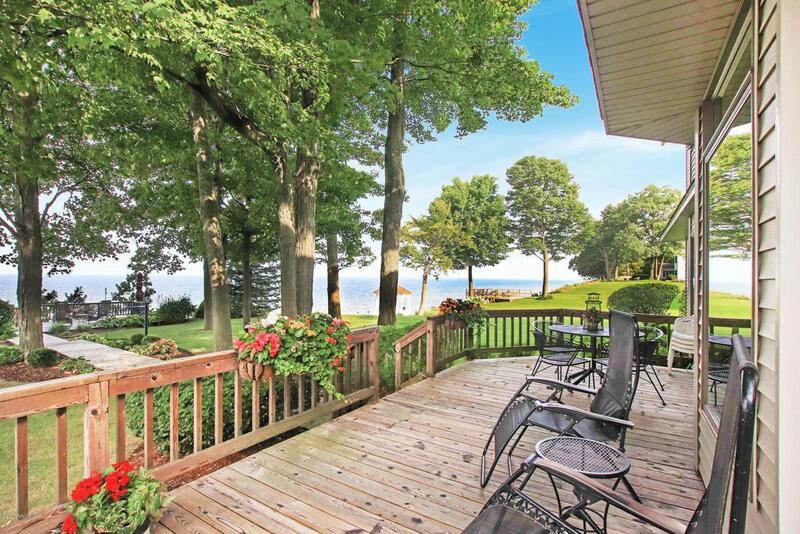 Strategically placed windows that offer panoramic views of the lake. Main level floor plan flows from the front entry to living room, sunroom, kitchen, dining, family room hosting fireplace, mudroom with laundry. 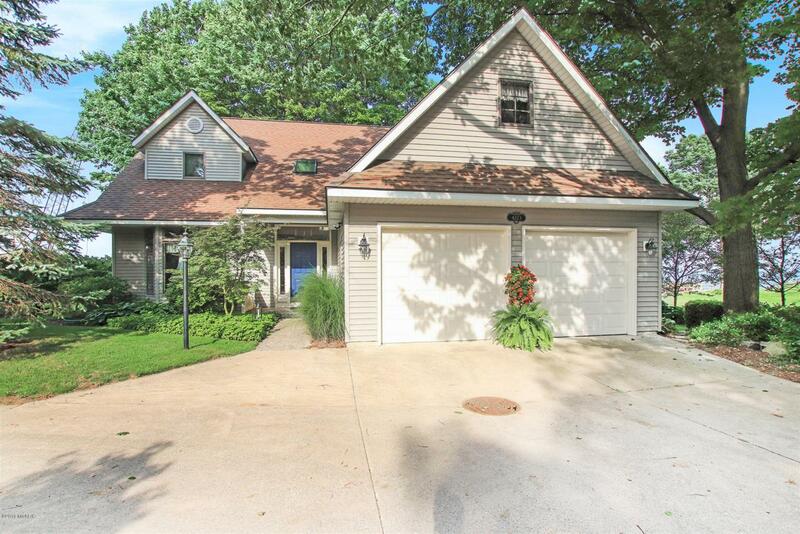 Upper level hosts master suite with spacious master bath plus two additional bedrooms and full bath. Basement features family room for extra entertaining space and unfinished storage and mechanical area. Large wrap around deck offers fabulous space for outdoor fun. Add the additional landing deck to private stairs to the beach the outside is a beach goers dream. 2 stall attached garage and space for drive turn around.Well built home that offers it all. 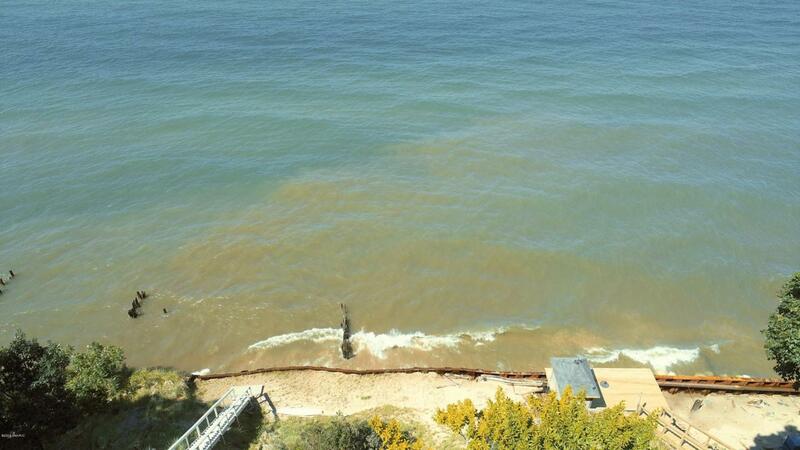 Seawall in front of home has protected bluff. Owner to the South is in process of completing seawall installation. Home also includes a whole home generator. Listing provided courtesy of Carol Genzink of Re/Max Lakeshore. © 2019 MichRIC, LLC. All rights reserved. Information deemed reliable but not guaranteed.